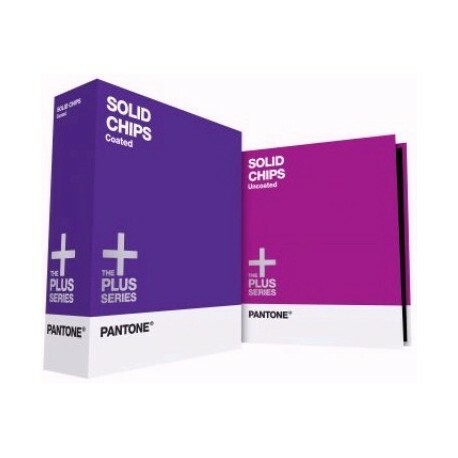 The new PANTONE COLOR SERIES SOLID CHIPS (two-books) contains all the colors of our PANTONE MATCHING SYSTEM plus 224 new, market-proven hues, in a convenient solid chip format that attaches to artwork and digital files for easy and consistent color communication. Graphic designers, pre-press professionals and printers now have 1,341 color choices, on both coated and uncoated stock, arranged chromatically. Includes color index and design software. Set of two books, coated and uncoated.